SPOILER ALERT!! 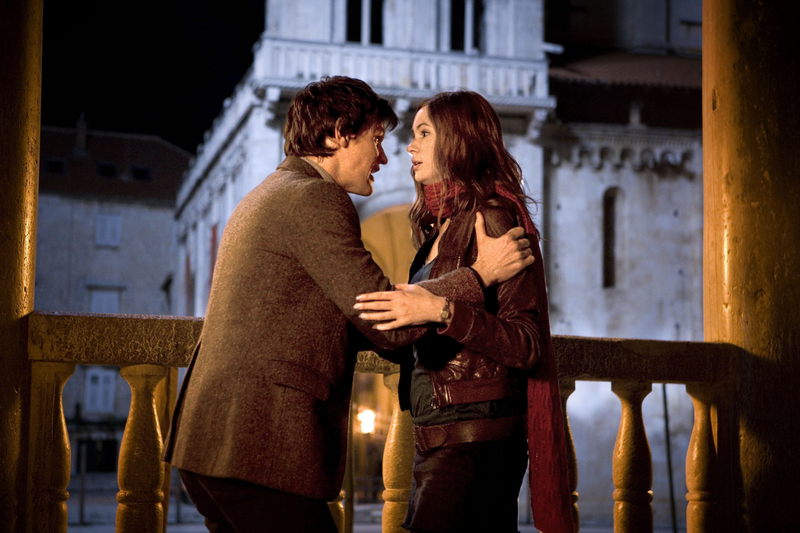 – Desiccated corpses, terror in the canals and a visit to the sinister House of Calvierri – not things you would see on your typical Top Ten List of Things To Do When Visiting Venice, but they are what await Amy (Karen Gillan) and her husband-to-be Rory (Arthur Darvill) when the Doctor (Matt Smith) whisks them off in the TARDIS to 16th century Italy for a romantic mini-break. 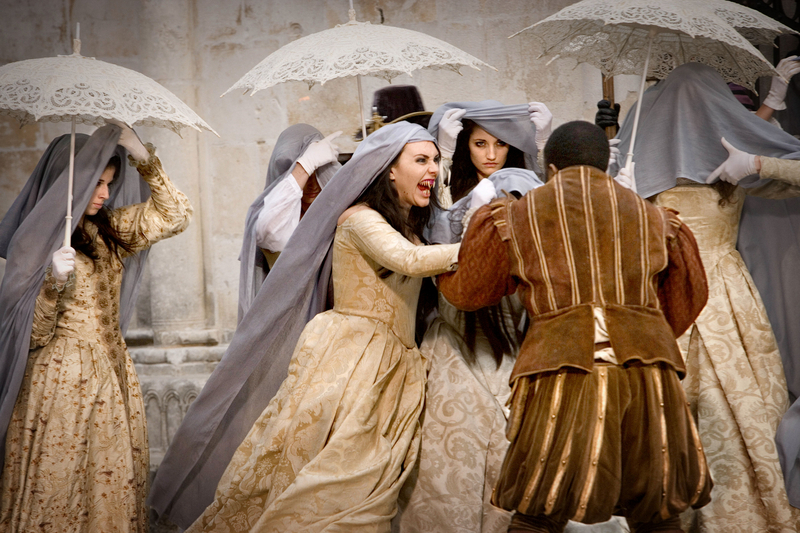 They discover that the city of Venice has been sealed to protect it from the plague, although Rosanna Calvierri (Helen McCrory) has other plans. 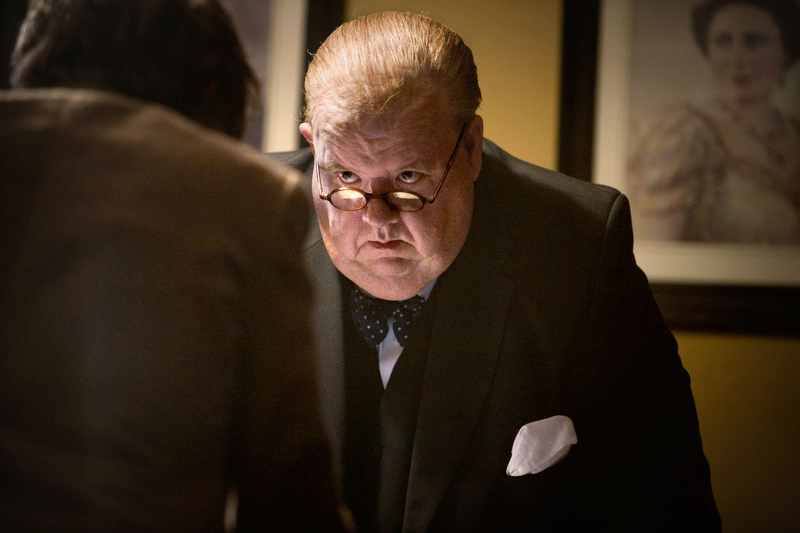 The Vampires of Venice airs Saturday, May 23rd @ 9:00 p.m. EST/PST on BBC America. SPOILER ALERT!! 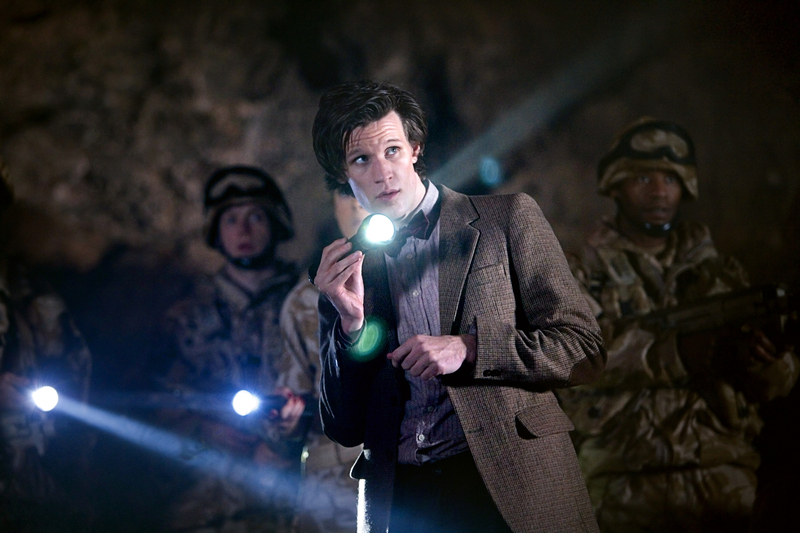 – Surrounded by the Weeping Angels, the Doctor (Matt Smith), Amy (Karen Gillan), River Song (Alex Kingston) and their military colleagues are forced to make their way through the twisted maze of the crashed space liner in an effort to escape. 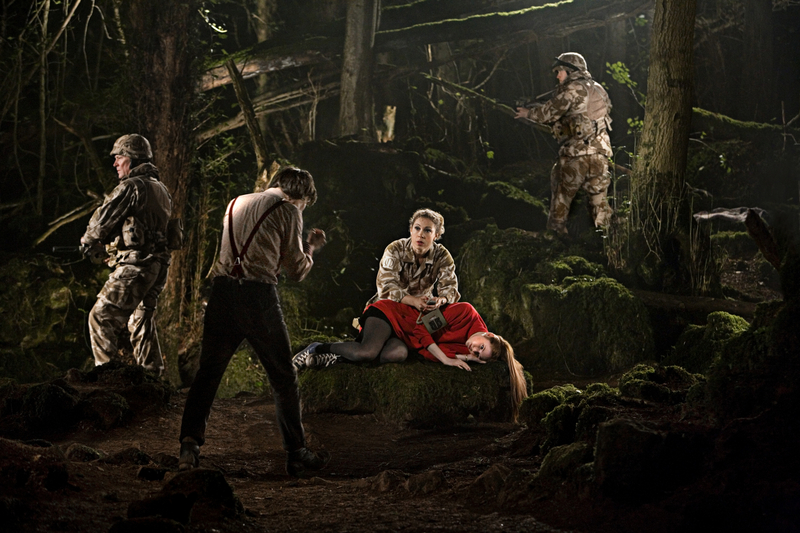 Meanwhile, in the forest vault, Amy faces an horrific danger that could abruptly cut short her time as the Doctor’s new companion…or worse. 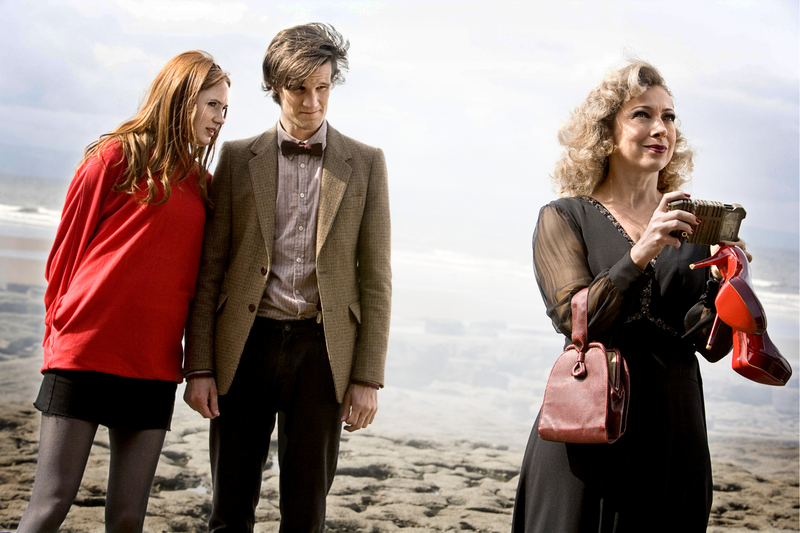 Flesh and Stone airs Saturday, May 15th @ 9:oo p.m. EST/PST on BBC America. SPOILER ALERT!! – If you thought the Weeping Angels were gone forever, then be afraid, very afraid, and make sure not to blink, because they’re back! 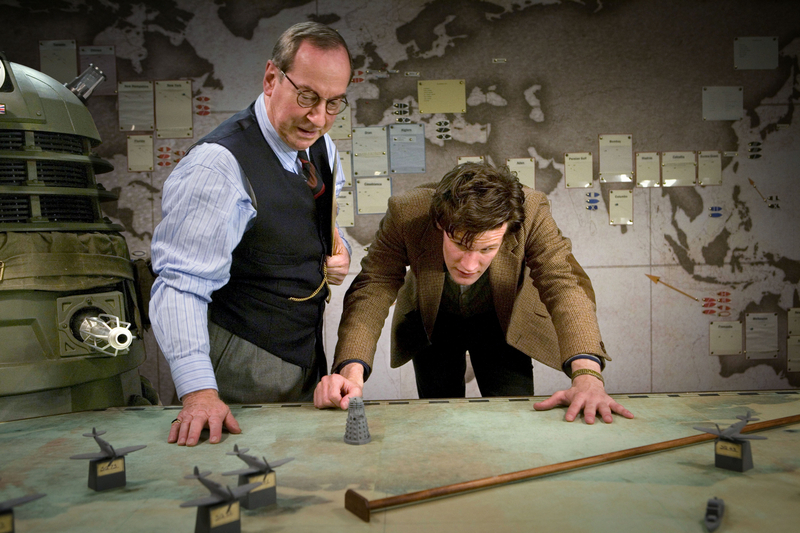 The Doctor (Matt Smith) is recruited by Father Octavian (Iain Glen) to track down the last of the Weeping Angels, but in order to do this, the Time Lord must traverse the Maze of the Dead. 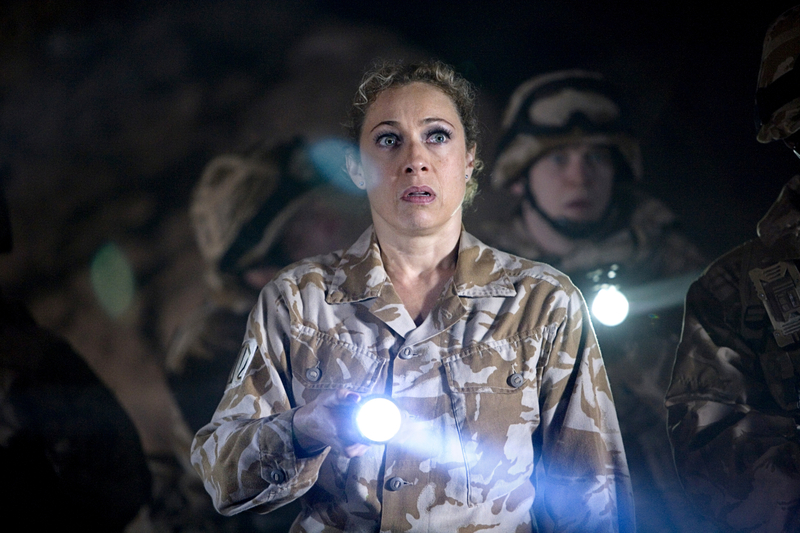 Also making a return appearance is River Song (Alex Kingston), a woman from the Doctor’s future who audiences first met in the season four episode Silence in the Library. Back then she risked her life to help save his, but can she be trusted now? 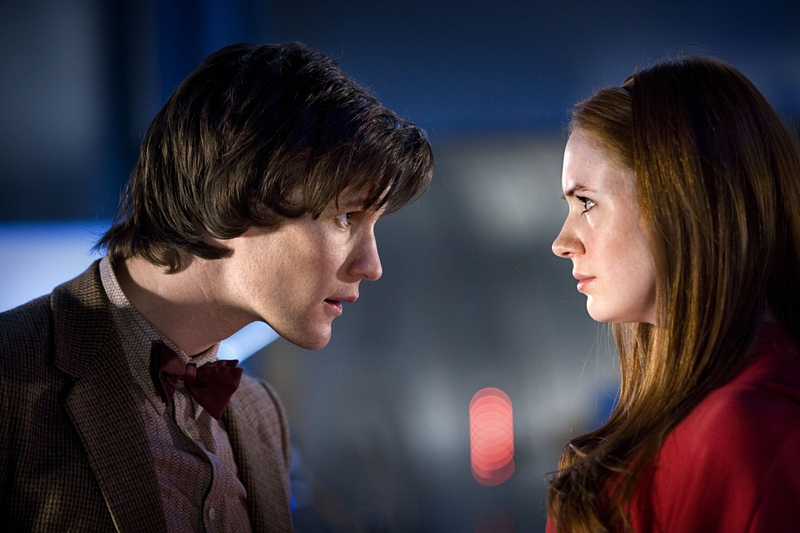 The Time of Angels airs Saturday, May 8th @ 9:00 p.m. EST/PST on BBC America. 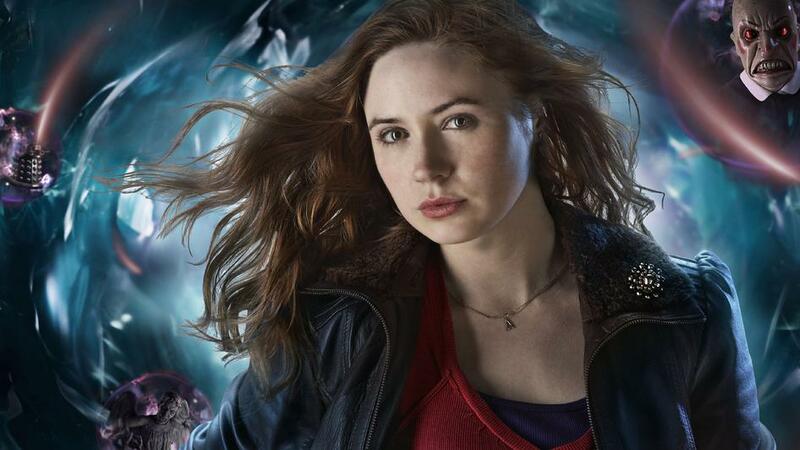 ON May 8th, The Graham Norton Show welcomes Doctor Who‘s Karen Gillan (Amy Pond), who discusses life in the TARDIS and her experience so far with the legendary Sci-Fi franchise. 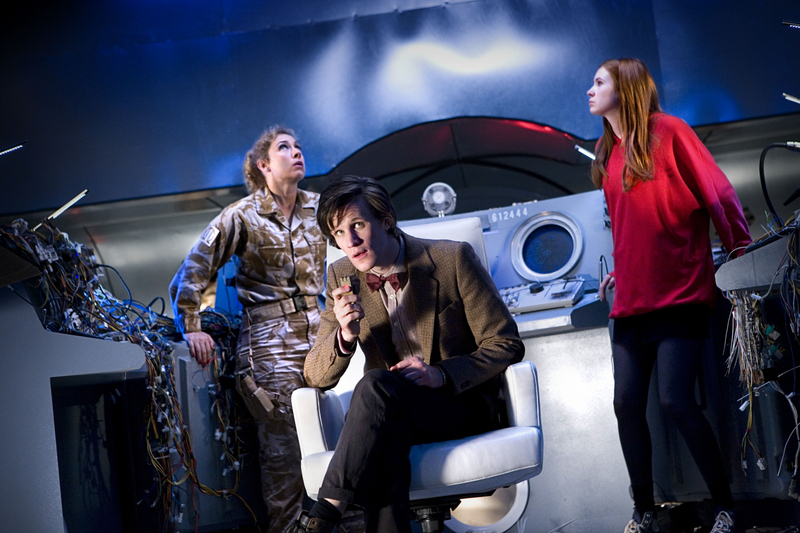 Karen talks about her recent trip to New York City promoting Doctor Who and how shocked she was with the response to the series from American audiences and the lines of people who waited hours to see the premiere episode at Village East Theatre. 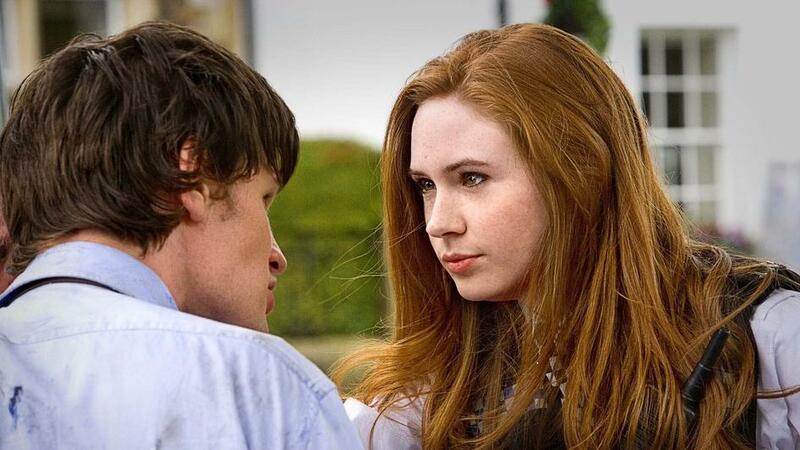 The actress also talks about her kissing scenes in Doctor Who and says her boyfriend is cool with her “snogging” scenes. Also on the show is Hollywood actress Jennifer Lopez, who talks about her glittering career and latest film The Backup Plan. She discusses being a working mother and wants to instill the same work ethics in her children as she had growing up. And staying on the theme of her rom-com, Back Up Plan, Graham had a little fun by combining pictures of himself and Jennifer to see what their children could possibly look like. And QI and Jonathan Creek star Alan Davies is in the comedy chair talking about his career and fatherhood, plus music from Ben’s Brother. The Graham Norton Show airs Saturday, May 8th @ 10:00 p.m. EST/PST on BBC America. As noted above, photos copyright of So Television, so please no unauthorized copying or duplicating of any kind. Thanks! SPOILER ALERT!! 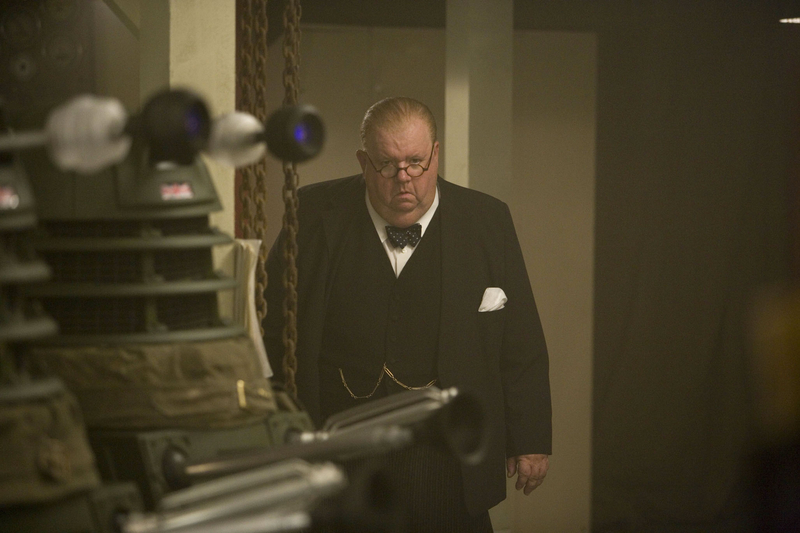 – The Doctor (Matt Smith) receives an urgent call from an old friend, Winston Churchill (Ian McNeice), but when he materializes the TARDIS inside the Cabinet War Rooms during the London Blitz, the Time Lord and his companion Amy (Karen Gillan) find his oldest adversary waiting in the shadows as well. 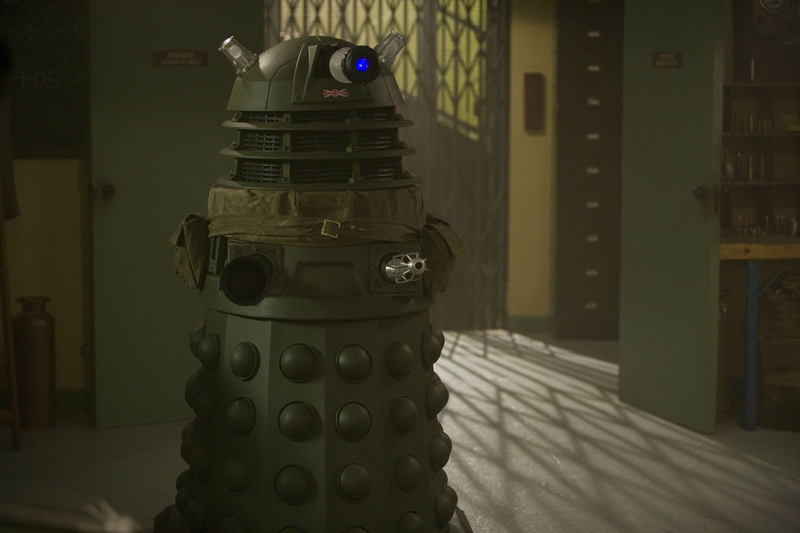 Victory of the Daleks airs Saturday, May 1st @ 9:00 p.m. EST on BBC America. This is the third of four BBC America press interviews with Doctor Who cast and crew, counting down to the premiere of the show’s new season on BBC America, April 17th @ 9:00 p.m. EST/PST. Enjoy! 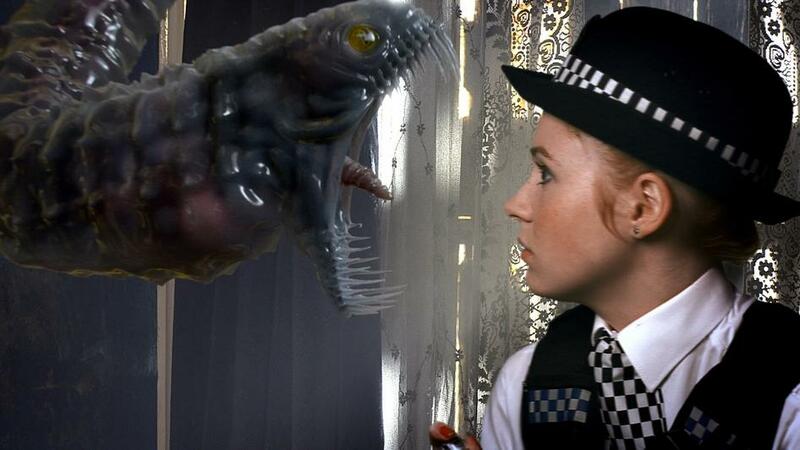 Even after Gillan discovered she had been cast as Amy Pond, the veil of secrecy was not lifted. Part of the interest in Gillan was due to her being a relative newcomer to the industry, so how would she explain her life so far to the public? 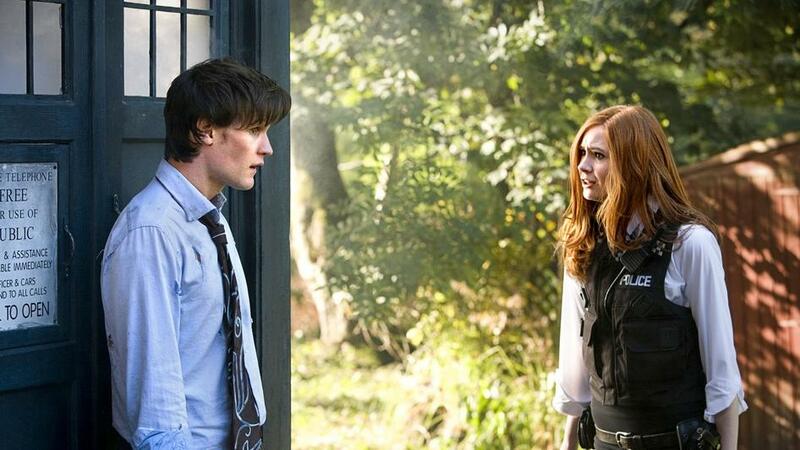 Since Doctor Who‘s return in 2005, there have been a number of memorable Companions for the Doctor. How does Gillan feel Amy compares to those who have gone before? 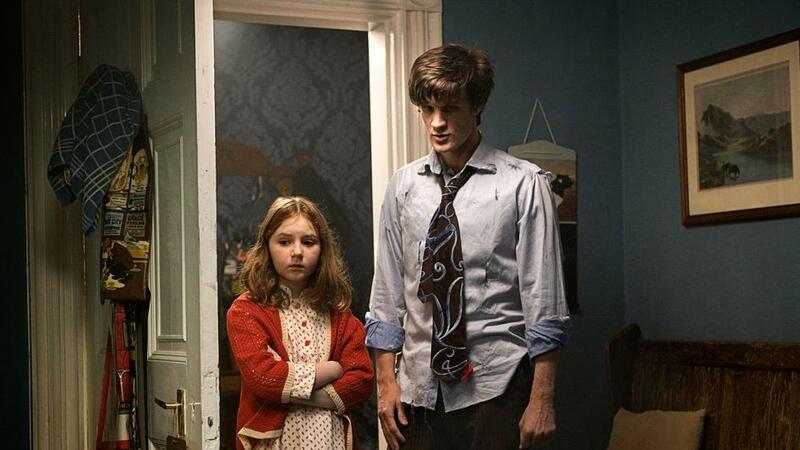 And Gillian feels that Matt Smith as the youngest actor to play the Doctor, has risen admirably to the challenge. 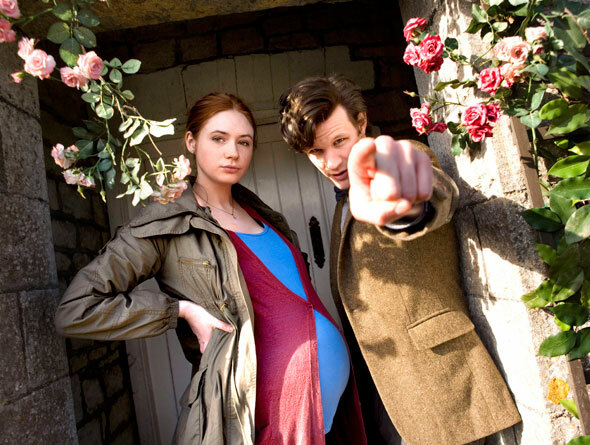 This is the second of four BBC America press interviews with Doctor Who cast and crew, counting down to the premiere of the show’s new season on BBC America, April 17th @ 9:00 p.m. EST/PST. Enjoy! 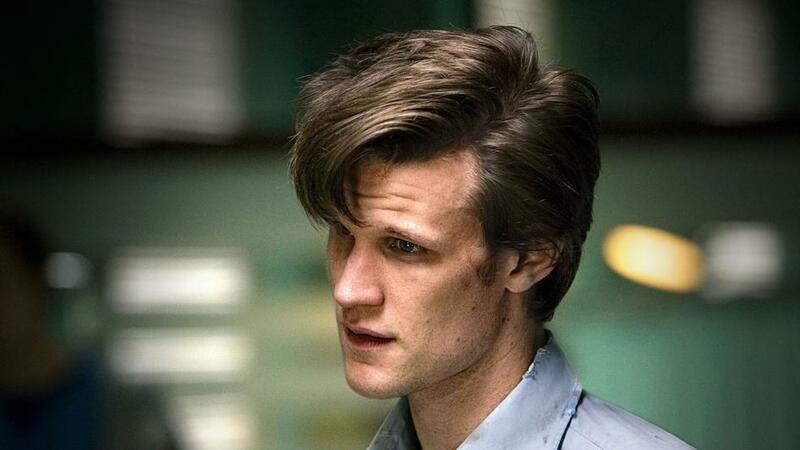 IT may be the eleventh time an actor has taken on the iconic role of the Doctor, but Matt Smith hasn’t let that stand in his way of creating his very own vision for the character. 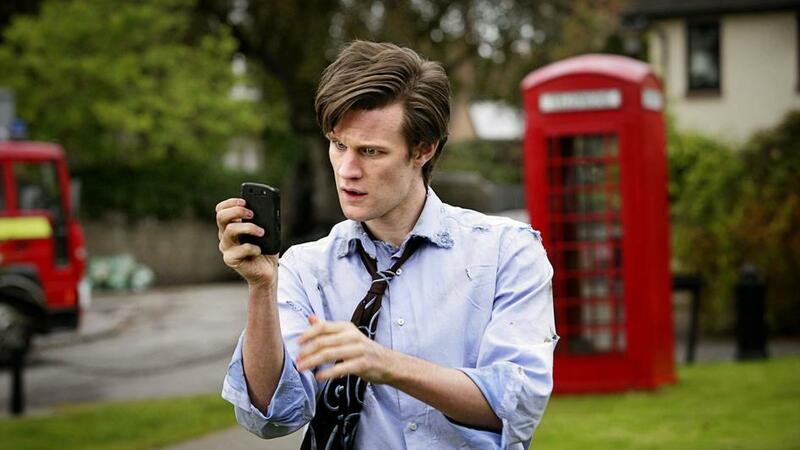 Here, he explains what it was like to land the role and talks about his dream trip in the TARDIS. 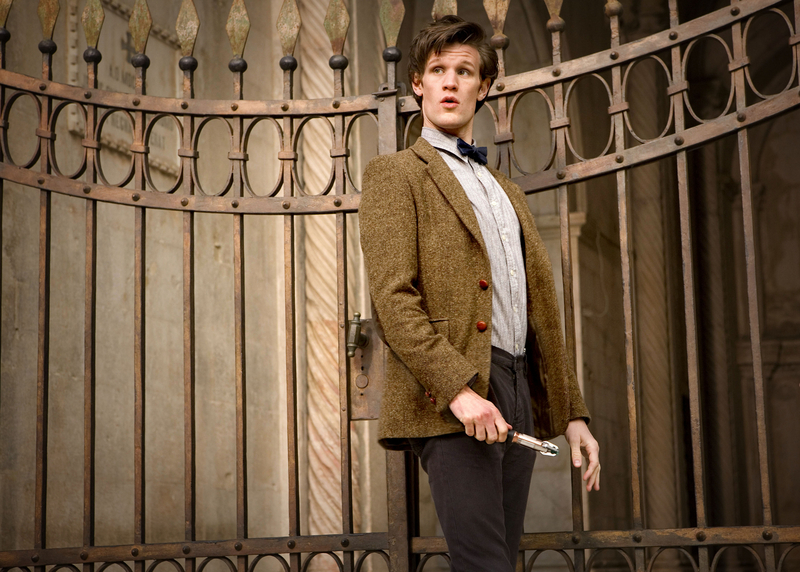 “It was quite weird news to receive,” says Matt Smith, the youngest actor the play the title role of the hit show, Doctor Who. “I mean, at that point it was a piece of information I couldn’t share with anyone, so it didn’t feel tangible, but needless to say I was very pleased. 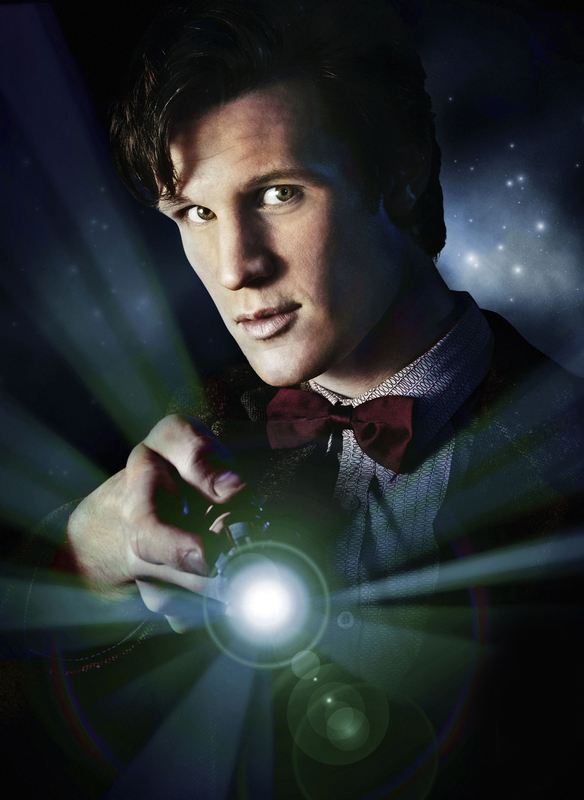 Spanning five decades, Doctor Who has been a part of British culture for nearly 50 years. 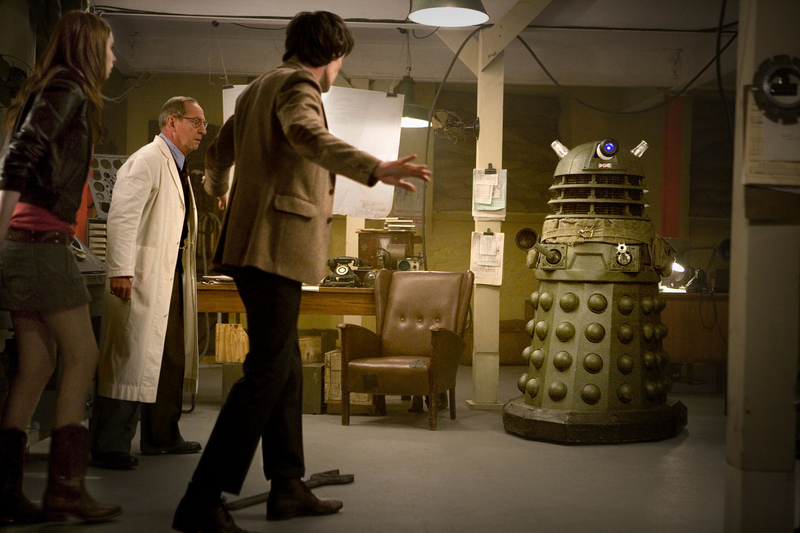 Since its successful return in 2005, both Christopher Eccleston and David Tennant have played the title role and made their own mark on the eccentric Time Lord. Now it’s Smith’s turn to give his own portrayal of the iconic character; a challenge which some young actors may have shied away from. 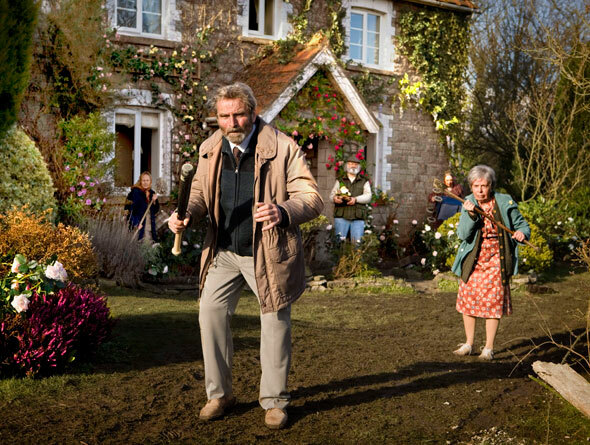 Smith admits, however, that his first day of filming, which took place on a beach in wet and windy conditions, was both daunting and challenging. Central to the story is the TARDIS, which transports The Doctor across time and space to a wonderful array of worlds and universes. 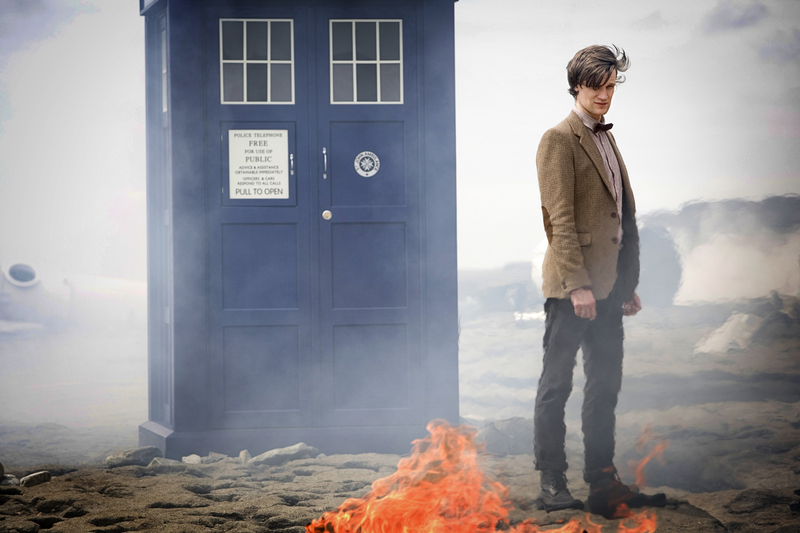 The TARDIS is a living creature and regenerates along with the Doctor in the opening episode of the new series. 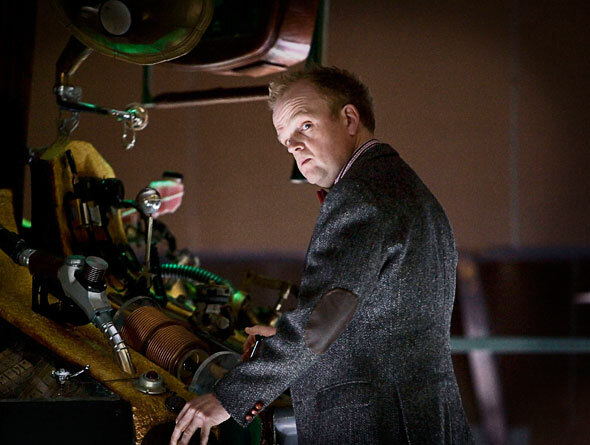 The details of the new TARDIS will remain an onscreen surprise for viewers, but Smith confesses he was like a boy in a candy store when he first set foot in it. 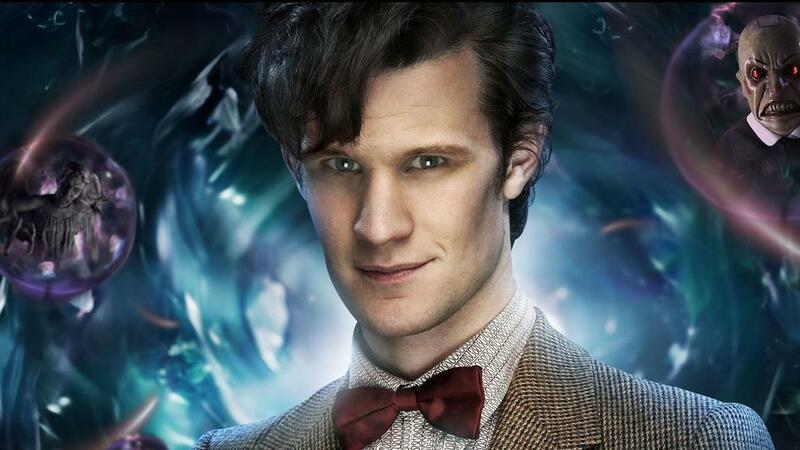 There have been 10 previous incarnations of the Doctor, each with their own traits and quirks, but what can viewers expect from this bow tie wearing Doctor? 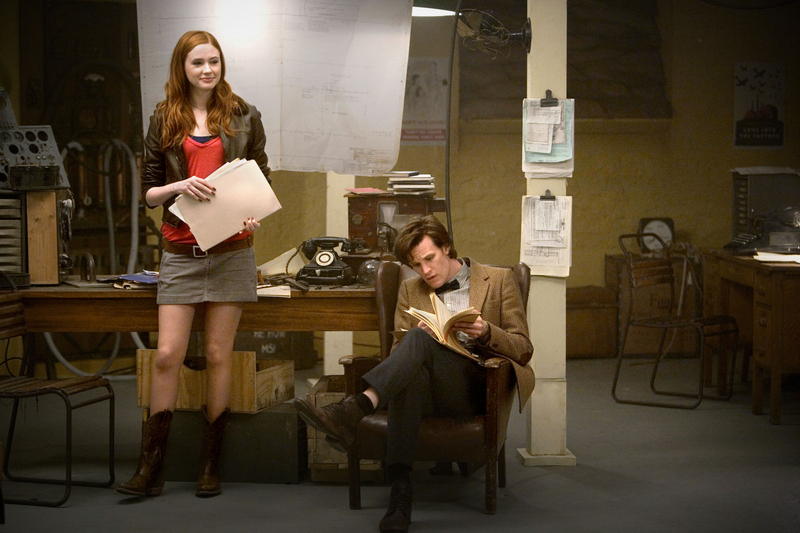 Joining the Doctor on his adventures throughout time and space is new companion Amy Pond, played by redheaded beauty Karen Gillan, and Smith admits the pair of them found it difficult to remain serious when filming scenes together. 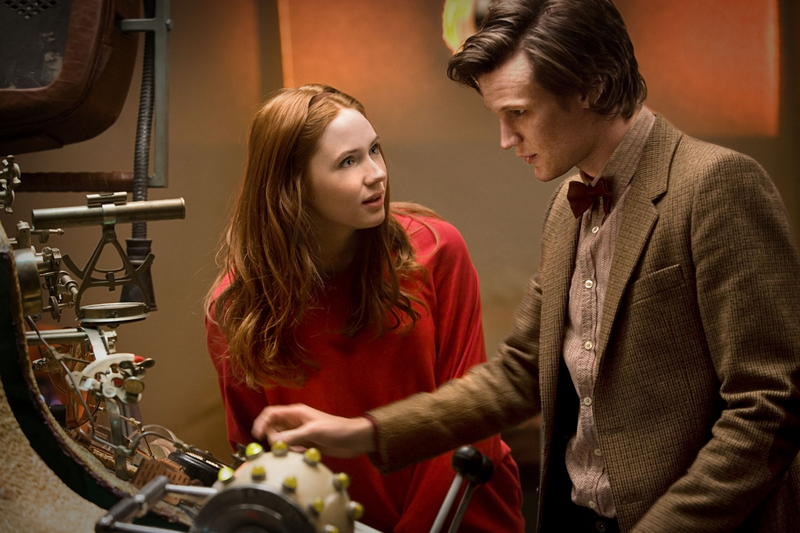 Throughout this series, Amy and the Doctor go on some truly extraordinary adventures. 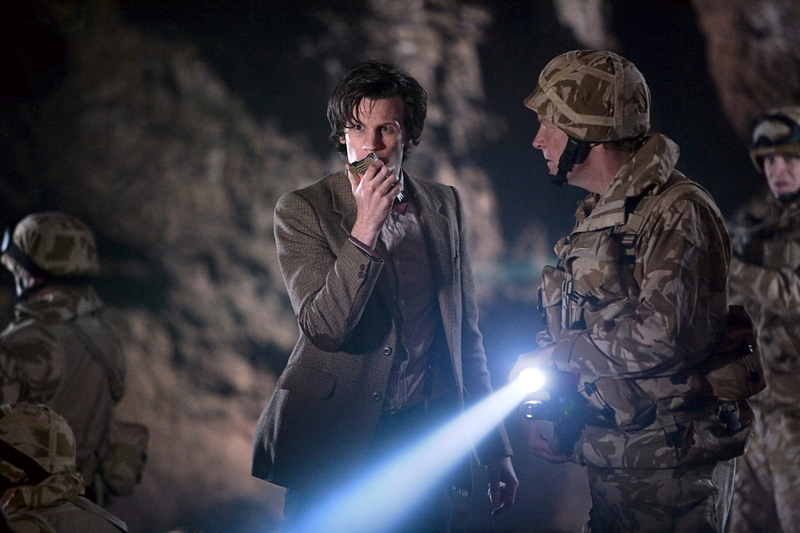 As noted above, all photos copyright of the BBC, so please no unauthorzied copying or duplicating of any kind. Thanks!